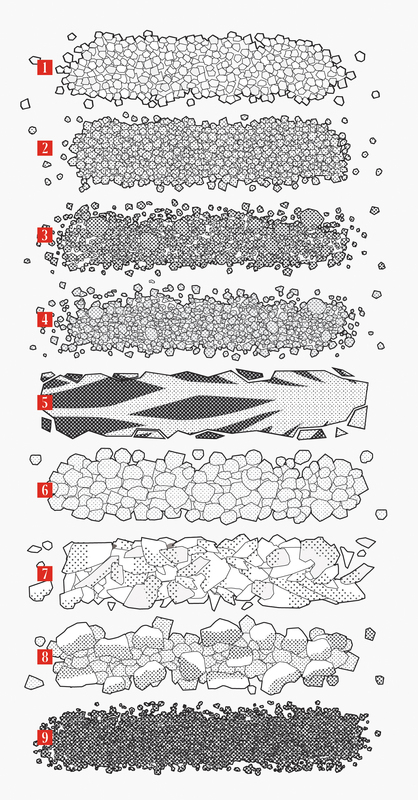 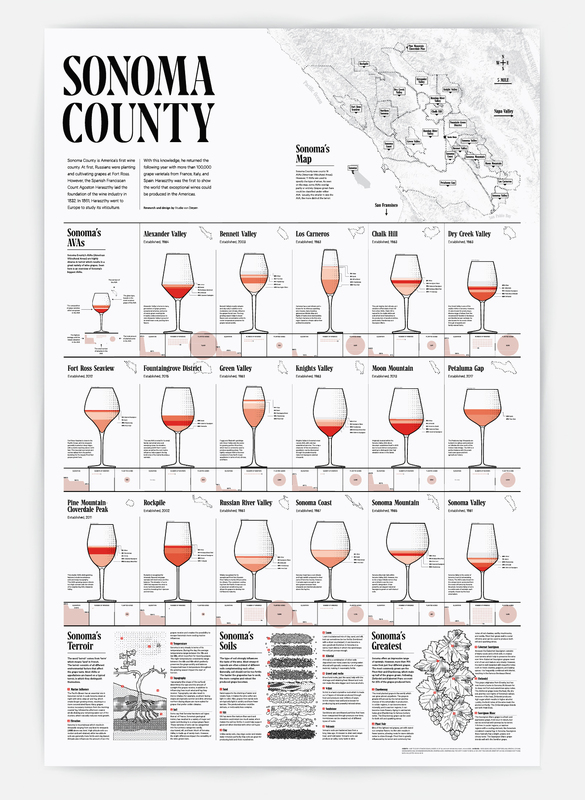 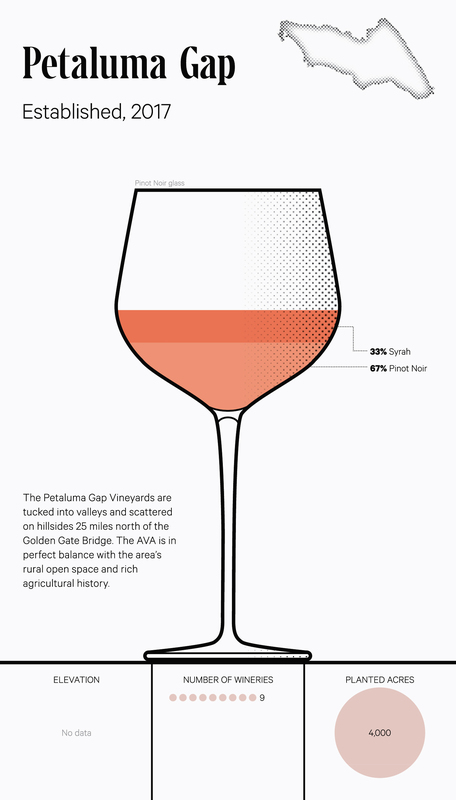 An infographic poster made about Sonoma County. 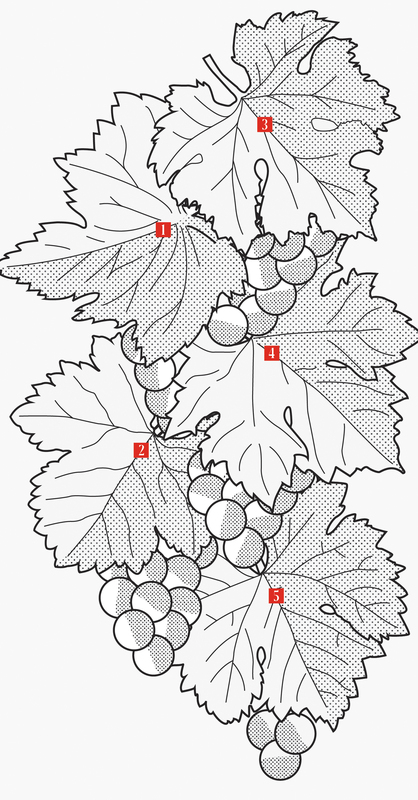 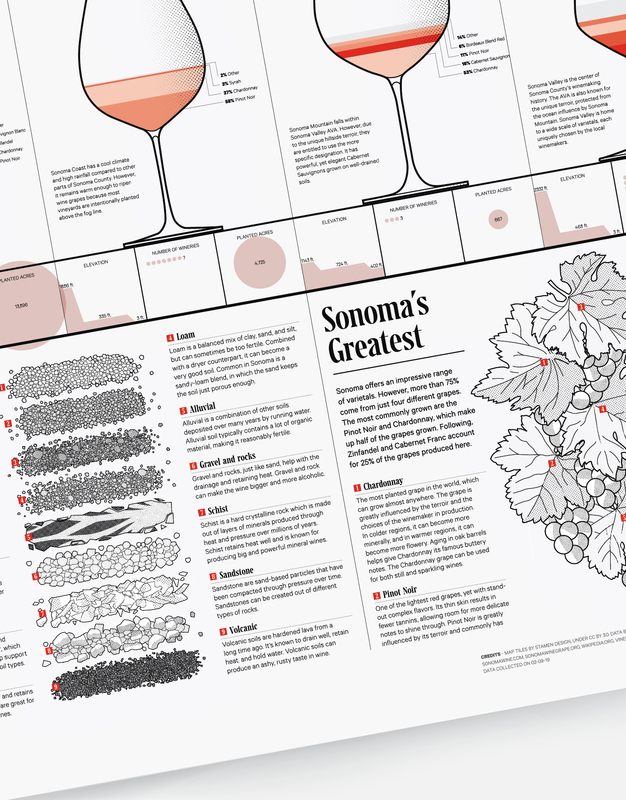 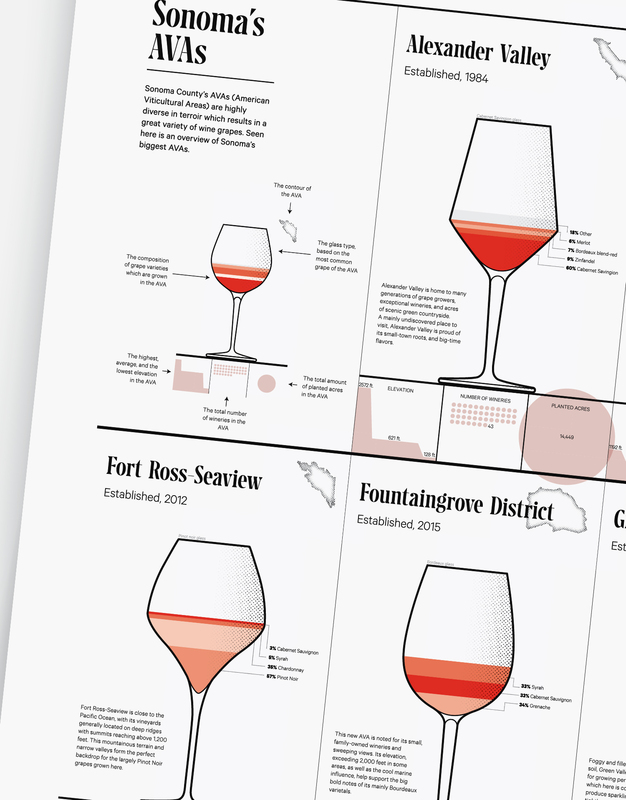 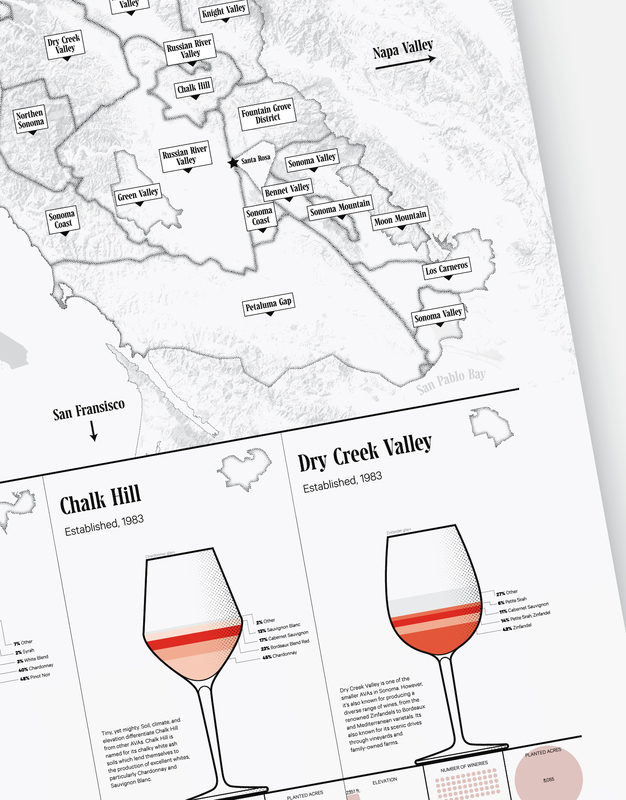 This poster gives an overview of Sonoma's AVAs, terroir and grapes and its soil. 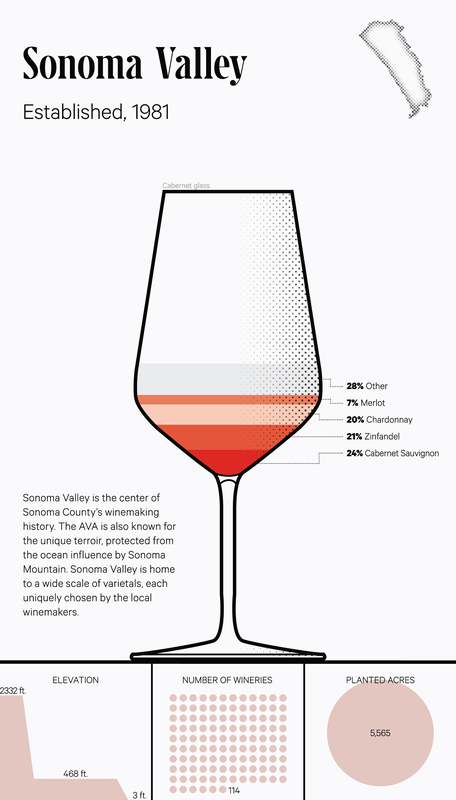 This is an acquisition project.